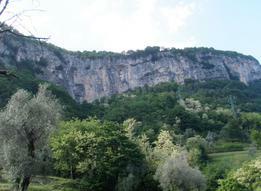 Beautiful and long rocky belt above the village of Mezzegra on the left bank of Lake Como towards Menaggio. 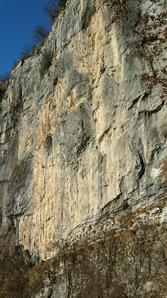 Composed of gray and yellow limestone articulated in vertical walls, it offers forty pitches of medium to high difficulty. The ideal half seasons; in winter sun in the morning, in summer shade after 4 pm. Athletic climbing often on reeds. On some streets it does not rain. Just below the cliff there is a small cave in the woods. It offers some extreme and beautiful shots on large overhangs.